The bird struck one skier recently, and is probably protecting a nest near the Campus Loop Ski Trail, staff says. Pineland Farms is warning cross country skiers about an aggressive, dive-bombing owl that appears to be protecting a nest near a groomed trail. • Great horneds are Maine’s earliest nesting species, producing eggs in late January or early February; with the young hatching about 1 month later. • Adult great horneds, second only to snowy white owls in size, can be up to 2 feet tall with a wingspan of 5 feet. Females are somewhat larger than males. • Great horneds’ legs, feet and talons are large and powerful. A fully spread foot, from talon to talon, averages about 8 inches and can apply at least 300 pounds per square inch of crushing power, far greater than the human hand can exert. The staff at the outdoor center in New Gloucester posted warning signs in the Campus Loop Ski Trail area, where the owl recently struck a skier. Instructor Mary Lou Lowrie said she does not believe the encounter resulted in serious injuries. She was unaware of any sightings in recent days. “Owls are very protective of their territory, and she’s doing her job,” Lowrie said. In a Facebook post, Pineland Farms said the owl is most likely a barred owl or a great horned owl. Both types mate and nest earlier than other owls. From January to March, these owls can become aggressive as they defend their territory and nest. Owls are most active in the evening and early morning. Pineland Farms advised people to stay away from nesting areas like this one until the young are old enough to fly. 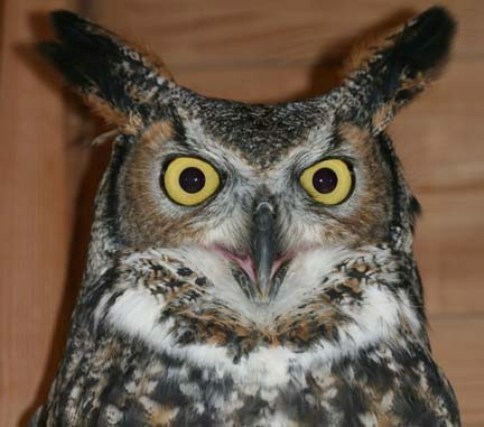 The post said to call the Outdoor Center at 688-6599 in the event of an emergency and directed people to the Maine Department of Inland Fisheries and Wildlife for more information about owls. It also mentioned a similar issue in Bangor in 2009, when an owl swooped and scratched at skiers in the city forest.